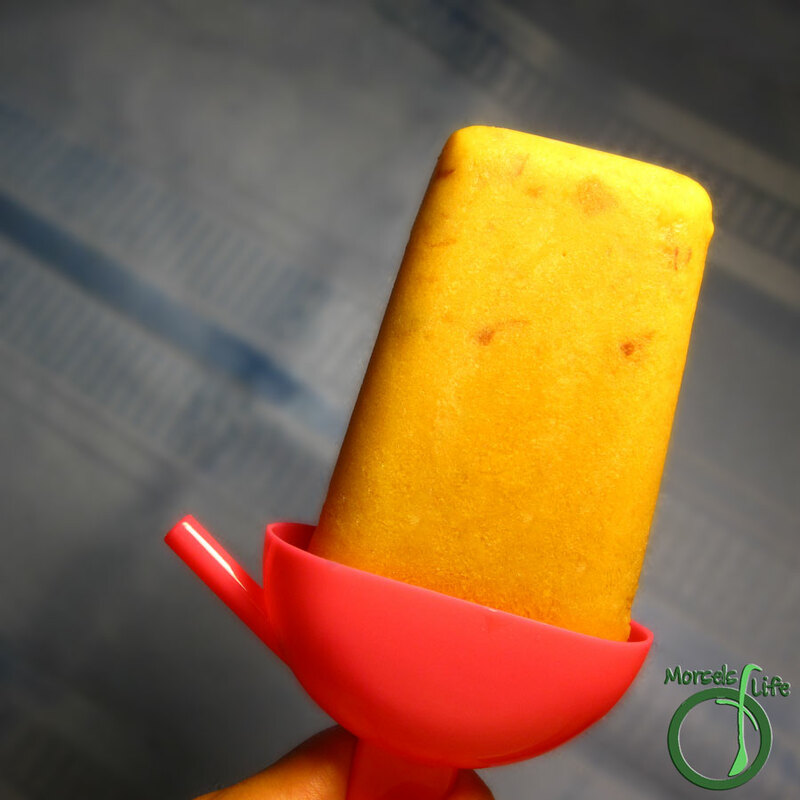 Blend some peaches in a coconut milk base for these creamy peach popsicles. This recipe, like many popsicle recipes, requires about 5 minutes of time. You literally throw everything into a blender, mix it all up, pour, and freeze. (Or if you really can't wait, this mix works perfectly well as a smoothie too!) I opted for no additional sweetener since I thought the peaches were sweet enough, but feel free to adapt and adjust based on your peaches. The creaminess of the coconut milk really showed through here. These Creamy Peach Popsicles almost feel like Peach Creamsicles to me. Almost. I think if you used 1/2 - 1 cup of coconut milk, you'd get even closer. Feel free to test and experiment on your own and see what you think! Do you have an abundance of peaches? What are you doing with them? Place all materials into a blender and blend until smooth.